“The Kid Has the Nicest Parents” Chapter 7 of The Adventures of Nurse Niki is Posted! The Adventures of Nurse Niki Chapter 7 is posted. This week, Niki ponders physiological dependency on caffeine, expresses gratitude for having a healthy child, and receives an ominous report on her patient in the PICU. Episode six is now up at The Adventures of Nurse Niki, a newish blog written by Julianna Paradisi (her other blog is JParadisi RN). 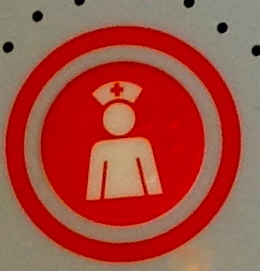 This blog is made up entirely of first-person episodes told by a fictional nurse named Niki. Each episode is short, detailed, and engaging, and it’s easy to keep up with it on a regular basis, or quickly catch up if you haven’t yet read any episodes. You can interact with Nurse Niki on her Facebook page, and don’t forget to “Like” it. Show Niki some love! Many thanks to the readers following The Adventures of Nurse Niki, the retweets of @NurseNikiAdven, and those who not only Like Nurse Niki’s Facebook Fan Page, but post comments too. The support is very much appreciated!